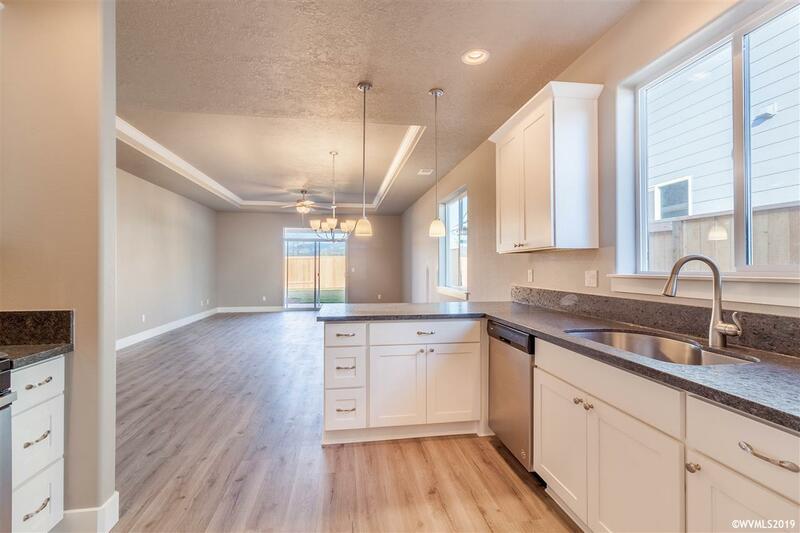 Brand new in Creekside Estates, a quaint new subdivision in Dallas of 56 new homes built by Dales Homes Inc, a division of Dales Remodeling, doing business in Salem area since 1978. 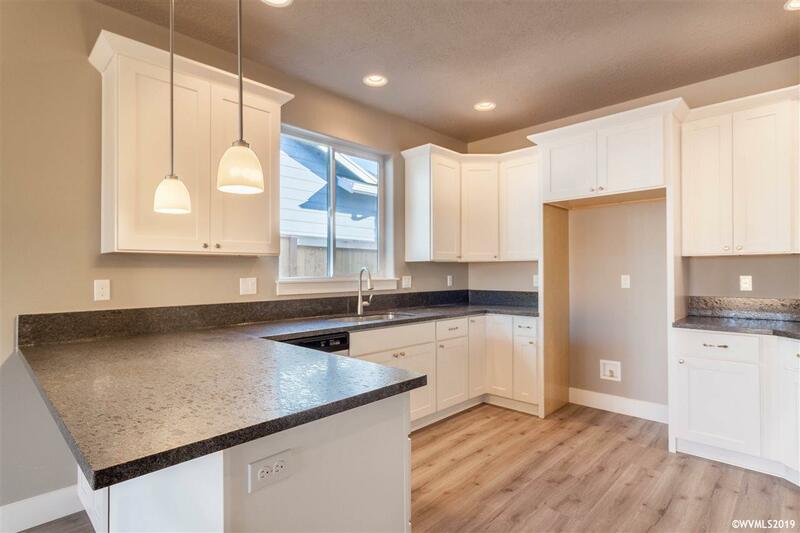 3 bed 2 bath open living area, 9' ceilings throughout. 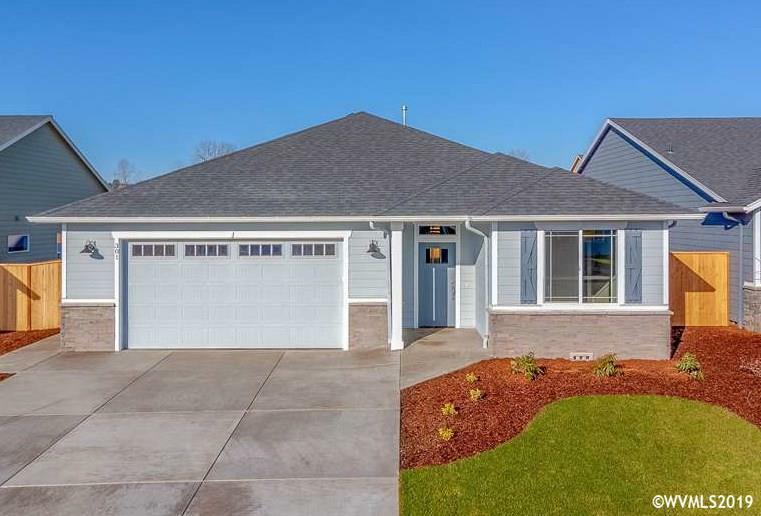 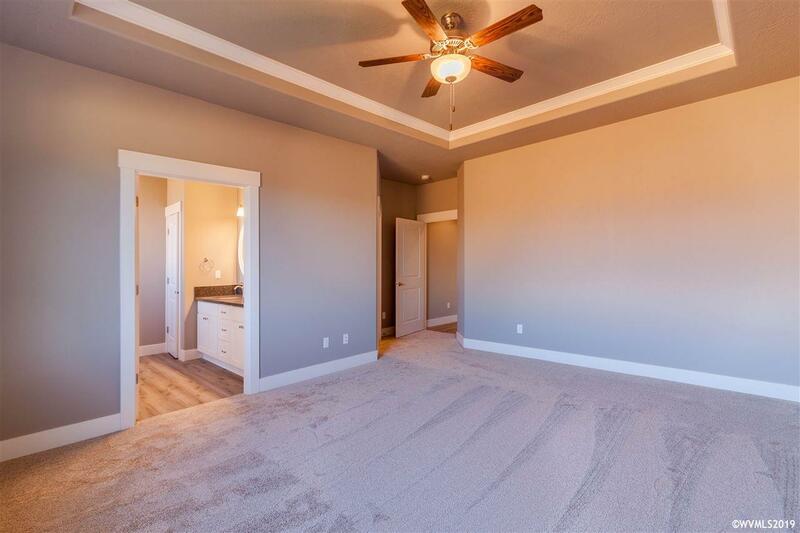 Tray ceiling with crown insert in living & master, granite counters throughout, extra deep garage for flex space or extra parking, fenced, landscaped front & back w/sprinkler system, no step entry or exit, 36" wide doorways throughout, covered patio, move in ready!